The much awaited TECNO Spark devices have been unveiled yesterday at a well-attended event tagged the TECNO Spark party. There was an unusual stand still at the popular Muri Okunola Park inn Victoria Island, Lagos, as TECNO Mobile unveiled the newest series in their array of phones; SPARK series. SPARK as we were made to understand will double as a Phantom series, an L series, and a Camon Series in one. The Phantom is known to be TECNOs most premium brand of phones, while L series are phones with large battery capacities, and the Camon series are customer-centric, so you can guess how huge the SPARK will sell out. The party had in attendance students from UNILAG, FCET, YABATECH, LASPOTECH, and LASU. Artistes like Mayorkun, Minz, Immaculate Dache and Gbasky were on ground to spark up the night with thrilling performance. To one of the most exciting things of the night, TECNO Mobile Digital Marketing Manager-Jesse Oguntimehin announced that TECNO Mobile will be supporting the dreams of 4 creative and talented Nigerian Youth with 1Million Naira each. This is one of the many ways TECNO Mobile is supporting the future of Nigerians. Everyone has a talent, not everyone is doing anything about it, and not everyone has an opportunity to showcase it. For those who have talents and are willing to showcase it, here is a major opportunity. These dreams could range from bead making to fashion designing, to photography, to writing, to speaking, etc. 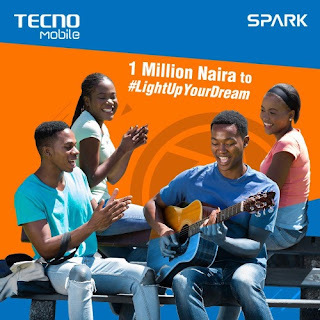 You are required to submit your entry on TECNO Mobile’s Social Media Networks and include the hashtag #LightUpYourDream, ensure you tag@TECNOMobileNG. Two winners will be picked from online and rewarded with 1 million Naira each. Equally, if you buy a TECNO Spark from TECNO Selected retail outlets, you will be given a form to submit your ideas and a raffle ticket, two winners will be chosen via a Draw and their dreams will be supported with the sum of N1, 000,000. Follow carefully below rules to participate and stand a chance to win. (a). #LightUpYourDream Online Activity is open to everyone who is a legal citizen of the Federal Republic of Nigeria. (b) Participants are required to upload a picture or video depicting their dream alongside write-up saying how that dream would be like in 10 years with our support. These entries would be analyzed by our in-house judges and 10 entries would be shortlisted for a live pitch. (c) For every Entry, participants agree that they are the original owner of the picture or video uploaded and shall indemnify Tecno Mobile Nigeria for any claim by any third party arising from their entry. (d) This activity commences on August 19th, 2017 and closes on September 25th, 2017. All entries must be completed no later than 11:59pm on September 25th, 2017. No entry received after this time will be considered. (e) Tecno Mobile Nigeria reserve the right to select winners and disqualify erring participants. (f) Participants must be willing and able to come to the venue where the live pitch would hold in Ikeja, Lagos Nigeria to physically present their dream, if shortlisted among the 10 finalist while they would be responsible for their transportation, logistics and accommodation if travelling from outside Lagos. (g). Winners must possess a valid form of identification which includes, but not limited to, International Passport (compulsory for prizes involving international travel), Drivers’ License, and the National ID card. (h) Winners agree to co-operate with Tecno Mobile Nigeria in any post-event publicity where they may be required to appear on television or radio, or in printed and online publications, for which no fee will be payable. (i) Tecno Mobile Nigeria will not divulge the database of entries received to any 3rd party except in litigation. (j) Tecno Mobile Nigeria reserves the right, at any time, to verify the validity of any part of an entry and participant (including a participant’s identity, age and place of residence) and to disqualify any participant who submits an entry that is not in accordance with these Terms and Conditions or who tampers with the entry process. 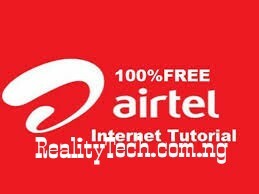 Failure by Tecno Mobile Nigeria to enforce any of its rights at any stage does not constitute a waiver of those rights. (k) Except for any liability that cannot be excluded by law and except as stated in these Terms and Conditions, Tecno Mobile Nigeria (including its officers, employees and agents) excludes all liability (including negligence), for any personal injury; or any loss or damage (including loss of opportunity). (l) Employees of Tecno Mobile Nigeria online (or any of its group companies or affiliates/sponsors), or anyone associated with this cause cannot participate in this activity. Nice Opportunity for people to become a million.